Well since I was talking a lot of Hearthstone yesterday on Ye Olde Twitter I got a hankering to do some. So I had a couple quests I needed to finish up. I’ve seen made decks already like the Zoo Warlock, and such but I have an issue, I get more enjoyment out of building my own decks, and trying to find the diamond in the rough. One day I’ll stumble upon the awesomest deck ever and become world famous…or at least get to rank 20 to get some different card backs. The quests was Druid, and Rogue centric so I built a Druid deck it was alright, lost to a priest but won against a Hunter, Mage and then a Warrior to finish the quest. I’ve been trying to go Taunt heavy to see how that fairs, like I said it was ok, and I think the lost to the priest was more of an RNG thing, getting none of my lower cards, and bunch of my higher end cards. The Rogue deck I mixed up a bit and went all murlocs pretty much, I just needed one win to finish a dominance quest I didn’t finish and I just came out fast and strong against another Rogue, so much so the Rogue conceded by like the 5th turn. Oh look I had enough gold for a little Arena, let’s give it a shot. I chose a Warlock hero, and the RNG gods were not kind at all, I think the only demons I got was 2 Voidwalkers, and a Doomguard. Which the Doomguard I love them, but hate the two card discard, love summoning them too. I had to play a Hunter, and let me tell you it was hard fought, but in the end I won, which I was totally shocked. I thought I would call it a night, end on a high note, and then return to it tomorrow. We’ll see if this deck will garner more wins, but to be honest I don’t have much hope. 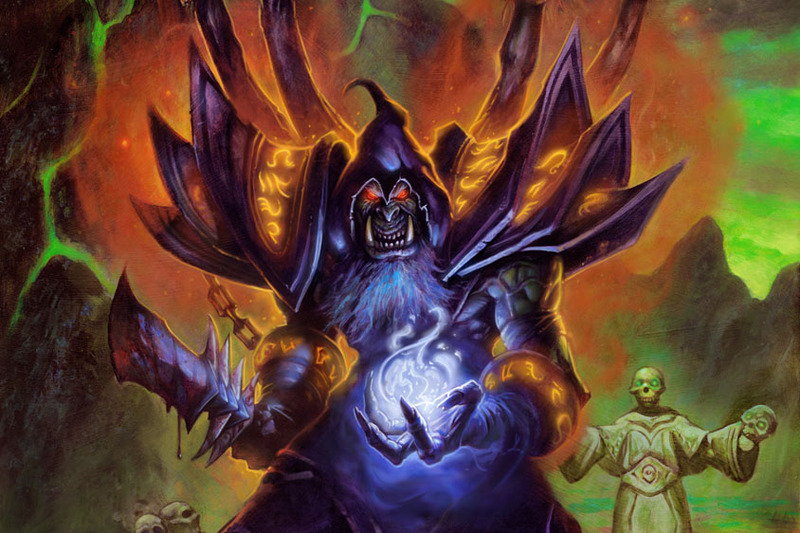 This entry was posted on May 7, 2014 at 3:23 pm and is filed under MMORPG with tags Hearthstone. You can follow any responses to this entry through the RSS 2.0 feed. You can leave a response, or trackback from your own site. There’s nothing wrong with netdecking, because 9/10 times you won’t have the cards necessary to copy the deck entirely. That means you have to try and find other cards that synergize with the overall theme. Once you get down the mechanics enough and realize what these themes are, (talking more about “aggro” or “rush” being the theme, not the more obvious “use all beasts in my hunter deck”) you’ll have more success with deck building.